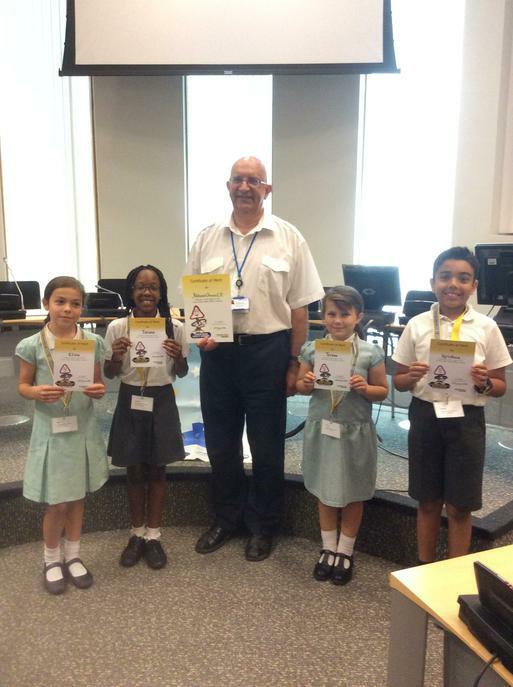 Junior Road Safety Officers Awards - It's a gold! On Friday, our four Junior Road Safety Officers, attended the JRSO Award Ceremony at the Suffolk County Council's offices in Ipswich. We are absolutely delighted that after all their hard work this academic year they have were awarded GOLD! It really is very well deserved and we are extremely proud of the JRSO's.